- Shipping by rail is up to 4 times more fuel efficient than shipping by road transport. - The capacity of rail rolling stock is more than 3 times the capacity of road trailers. In other words, you can ship approximately the equivalent of 100 full truck loads in only 32 rail cars. Based on these statistics, you can imagine the cost savings available when the cargo is not necessarily time-sensitive. 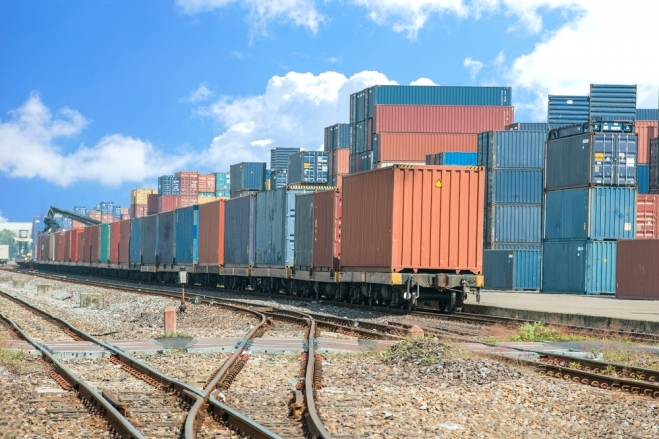 Keeping in mind that the transit time of rail transport is only marginally longer than road transport, shippers can realize economic savings while still meeting their customer’s delivery requirements. The primary rail carrier, Trans-Asian Rail, offers many options for shippers and receivers in Iran. As a member of the United Nations, ESCAP (Economic and Social Commission for Asia and the Pacific), they now maintain nearly 120,000 km of rail lines serving 28 UN members. - Complete availability of all types of rail equipment including closed, flat and tanker cars. - Significant cost savings through Tehran nasim Transportation’s volume buying power. - Full rail and part car shipments. - Network coverage that reaches all large population centres within Asia and Europe. - Lowest transportation risk ensuring safe arrival of cargo. The list below indicates approximate transit times to all relevant hubs for your consideration. If you are interested in saving freight costs for non-urgent shipments, please fill in our contact form.